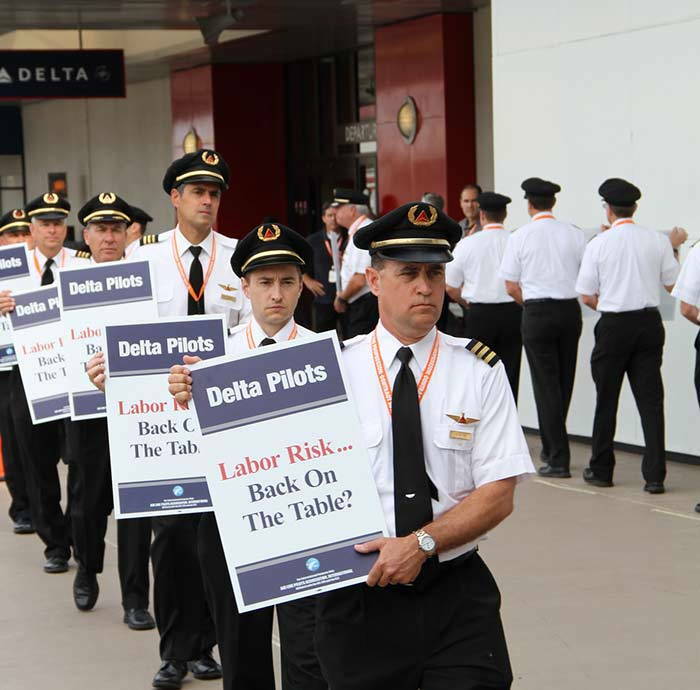 New Negotiations: Will Delta Make Up for Lost Pilot Wages? Delta declared bankruptcy in 2005, and there's still fallout. When Delta declared bankruptcy in 2005, their pilots took a pay cut, including reduced pensions. But now that the company is back on its feet, pilots and their union are demanding fair compensation. Negotiations for new contracts began on April 5th. Delta pilots have received raises since the bankruptcy, including over the past 3 years. The highest wage increase was 18% back in 2016 and the lowest occurred in 2017 at 3%. But after this year’s 4% increase, the contract mandating the raises ends. And that means new negotiations. Originally, pilots proposed a pay increase of 37.25% spread out across 3 years. Considering the 32.5% wage deduction they suffered in 2005, this seems like a reasonable request. But despite this and an increase in the airliner's revenue, the company only proposed a 27.3% increase over 4 years. Pilots agreed to the reduced proposal, but union officials have been hard at work to create a new proposal. Although recouping lost wages is a high priority, Delta pilots have other grievances as well. The benefits they currently have are not the same quality as those given pre-bankruptcy. According to the chairman of Delta pilots' Master Executive Council, Captain Ryan Schnitzler, “Our pilots sacrificed greatly during the bankruptcy era and are seeking to restore the value lost in key areas such as retirement, insurance, compensation, job security and scope”. Ideally, this year’s negotiations will address and improve these topics. The ALPA, or Air Line Pilots Association International, is representing the Delta pilots. The group, established in 1931, is currently the largest pilot union. To date, they represent over 61,000 pilots, all of whom fly in either the United States or Canada across over 30 different airlines. The Delta pilots are in good hands, but if things do go awry and an agreement is not met by December 31, 2019, the current contract will remain in place, without added compensation or benefits. That said, the pilot union appears to be optimistic about this year’s negotiations.